Last week I shared with you the Disney UP-themed event for church that I put together. One of my favorite crafts/projects from that night is the Wilderness Explorer badges and sash that I made to sit out on one of the tables. Remember the cute boy Russell from the movie, and the sash with badges that he wore? This is a replica of that, complete with the same Wilderness Explorer Badges that he wore! This Russell UP sash is perfect for a Russell UP costume for Halloween, an UP themed party costume or decoration, or even just for fun! These UP badges weren’t hard to make, but did a little bit of time. I found Pixar’s Wilderness Explorer badges online (just do a quick Google search to find them), then had them printed at the copy store onto thick photo paper. I used this tutorial here as my inspiration, but made a few changes. Step 1. Print the badges. I had my badges printed at the copy store so they were better quality. Step 2. Carefully cut out each badge, then glue it onto a thin strip of craft foam. Using a foam brush, I brushed on a thin layer of Mod Podge to protect the paper badges and make them more durable. Then I cut out each individual badge from the foam. The grape soda badge was a favor left over from an UP birthday party we went to last year. So glad I saved it! Step 3. Next, I used my son and measured the brown felt, and cut out two long strips. I glued the strips together with the glue gun (yay for no sewing!) to look like a sash. I then glued all of the badges onto the sash, leaving a spot for the grape soda badge of course. My son begged me to keep the sash, because he loved how it looked. It was pretty easy to put together, too, which is always a plus! How will you use these cute little badges? For a Russell UP costume? For an UP party? 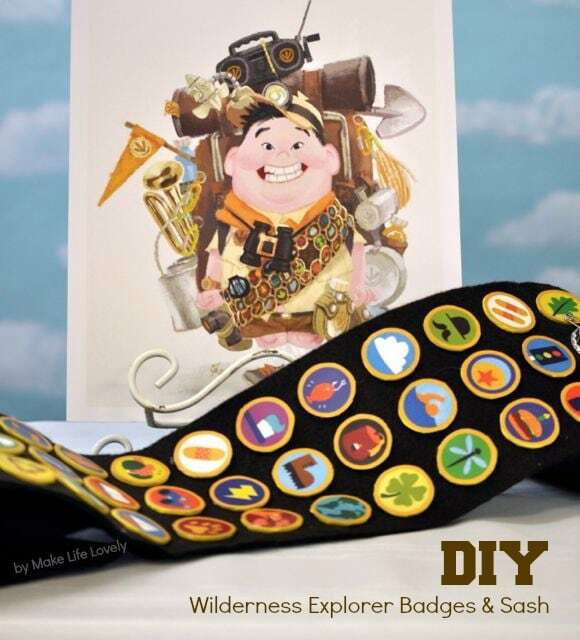 Any way you use them, these Wilderness Explorer Badges are sure to bring a smile you your face. You can check out more photos from the event, including a sky backdrop, UP garland, painted paper mach houses, and lots of balloons! 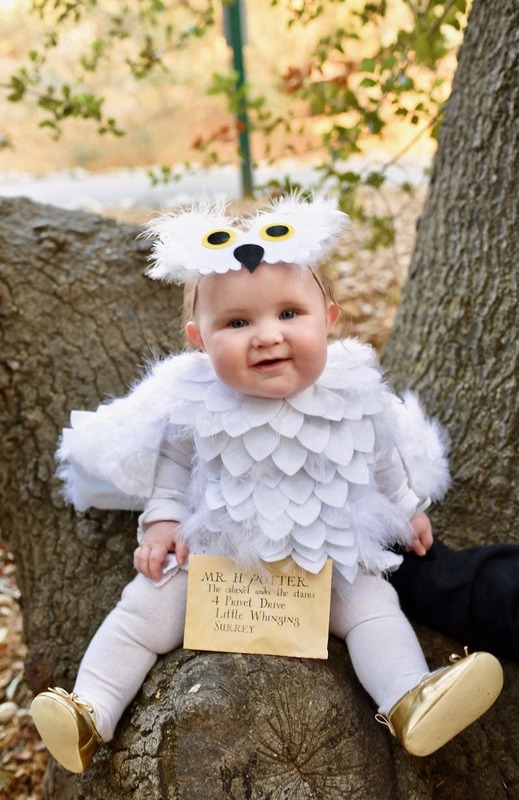 You might also like this Hedwig baby owl costume idea too, perfect for a baby or toddler Halloween costume! Where did you get the sky paper for the backdrop? Hi Kirsti! Here is a link to the sky paper I used on Amazon- https://amzn.to/2q2hzTB (affiliate link). I used a bunch of it and still have a ton left!